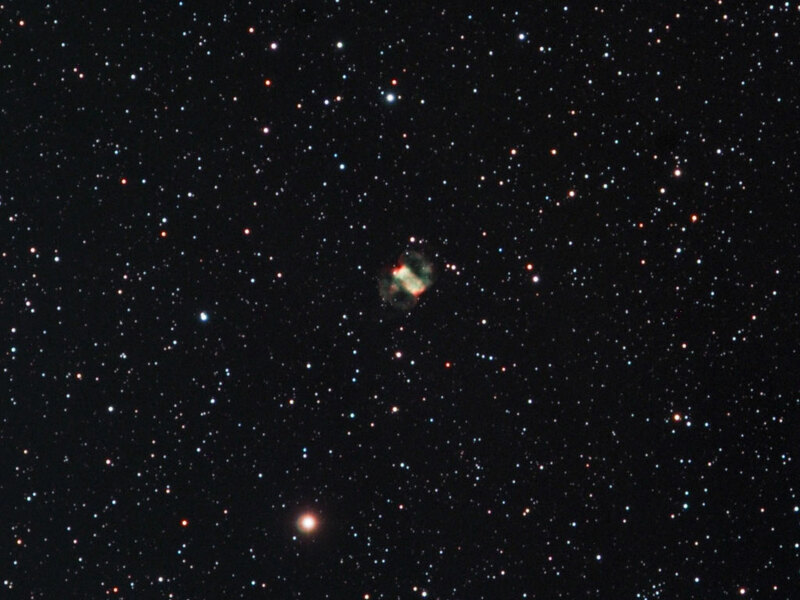 The data for this image of the Little Dumbell Nebula was collected on numerous nights during November 2006 by Adrian Brown. He used a Skywatcher 80ED refractor at f7.5, an ATIK ATK16HR camera, Astronomik LRGB and CLS filters, and a Celestron CGE mount. The total exposure times were Luminance 80 minutes, Red 30 minutes, Green 30 minutes, and Blue 30 minutes. 5 minute sub exposure times were used throughout and the colour filtered exposures were taken with the camera binned 2x2.